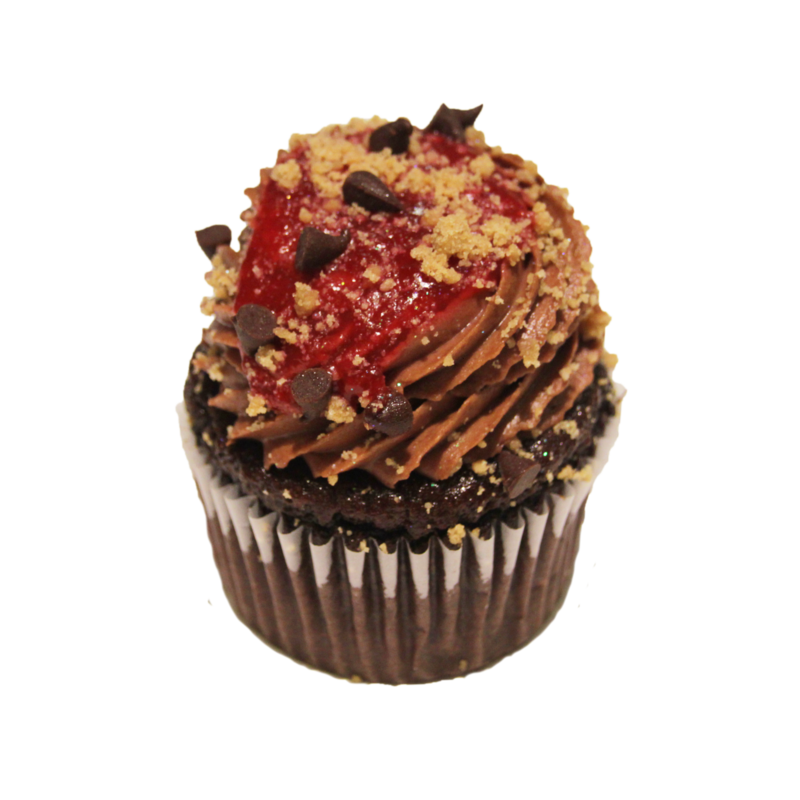 A chocolate cupcake cheesecake filling, chocolate whipped cream cheese frosting, mini chocolate chips, raspberry topping, and graham cracker crumbles on top. 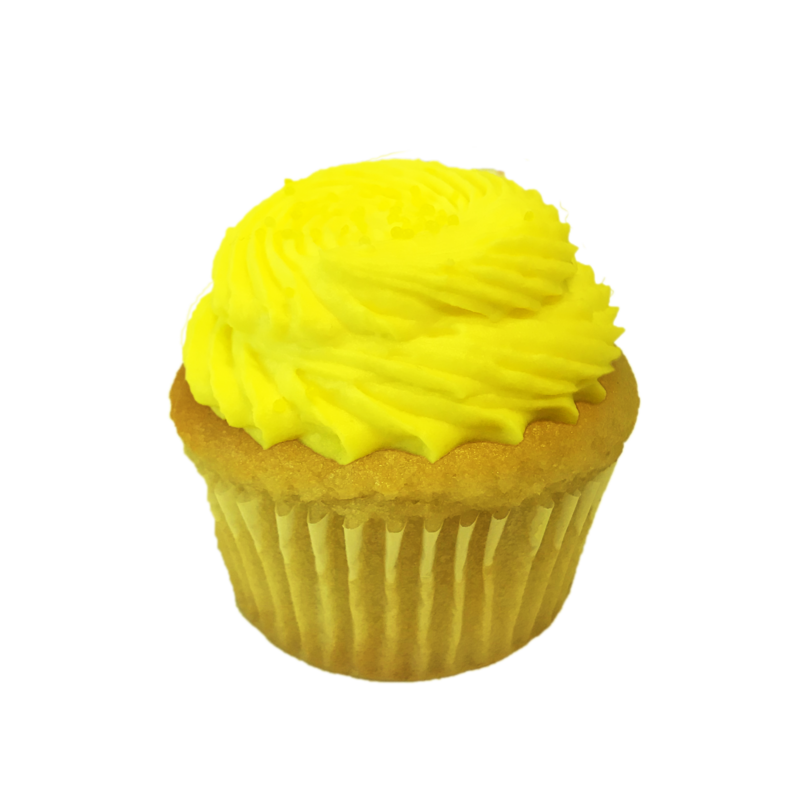 A lemon cupcake with lemon curd filling, lemon whipped cream cheese, and nonpareils. 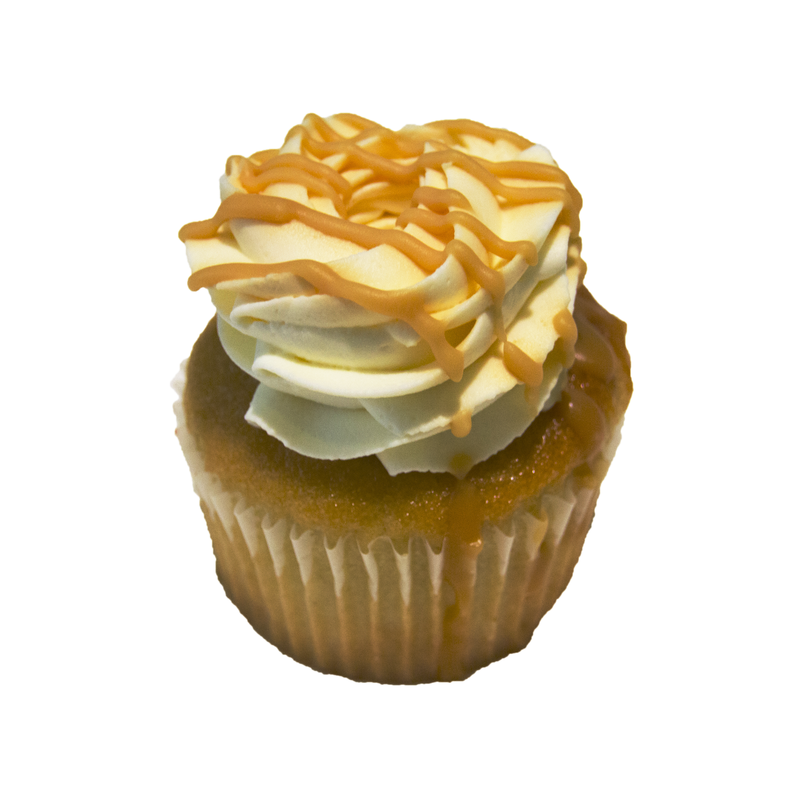 A vanilla cupcake with house-made salted caramel filling, our signature whipped cream cheese frosting, and a caramel drizzle. 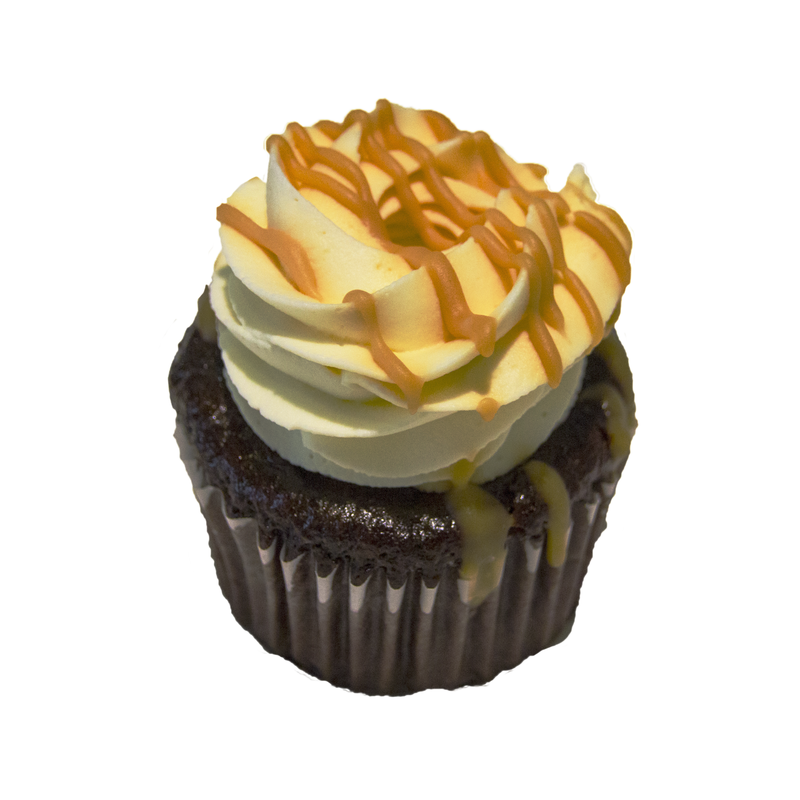 A chocolate cupcake with house-made salted caramel filling, our signature whipped cream cheese frosting, and a caramel drizzle. 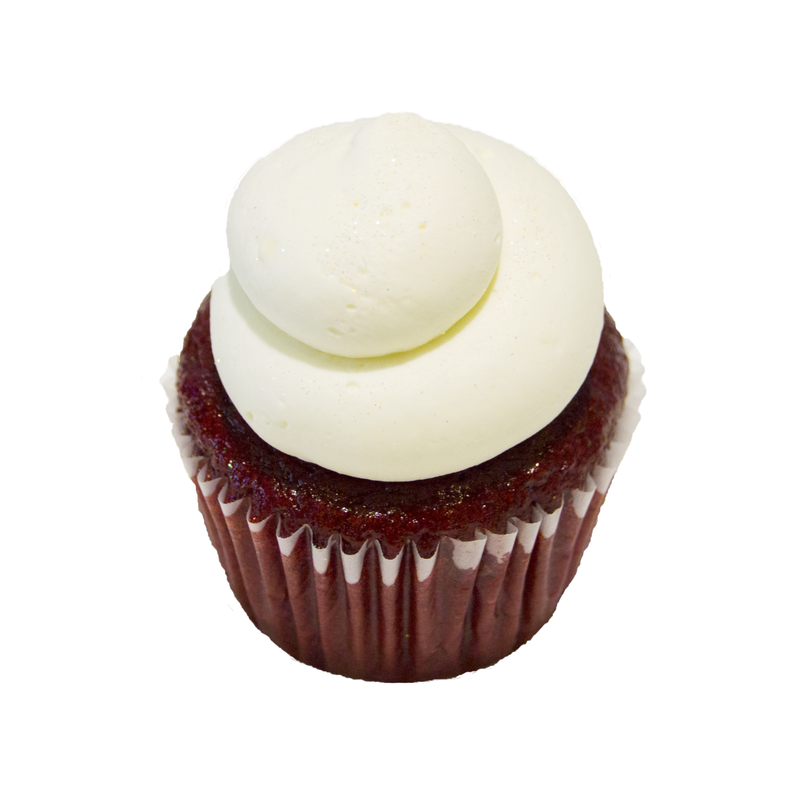 A moist red velvet cupcake with our signature whipped cream cheese frosting. 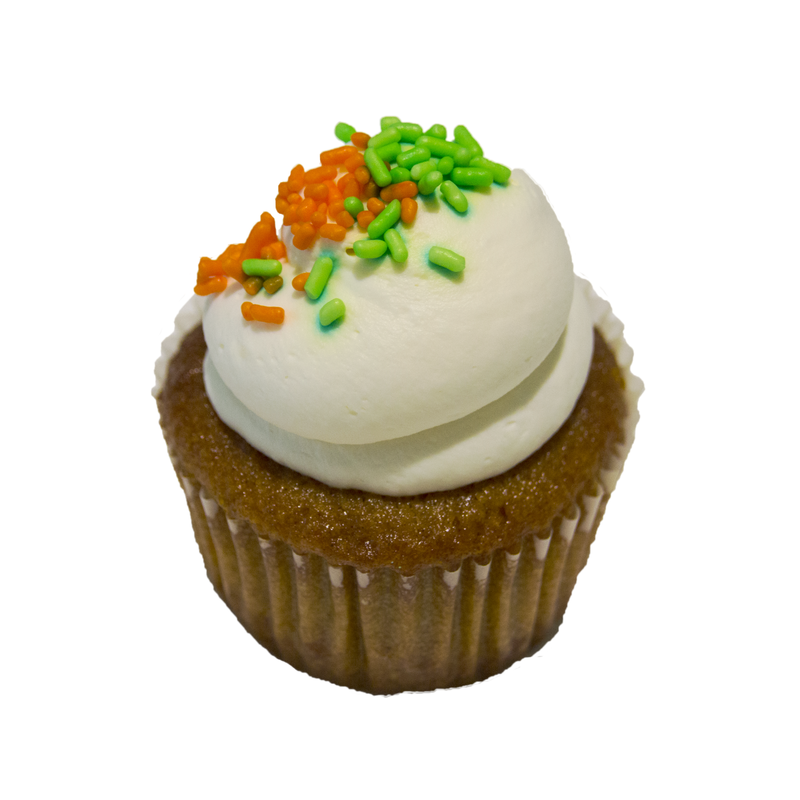 A moist and flavorful carrot cake cupcake with our signature whipped cream cheese frosting. 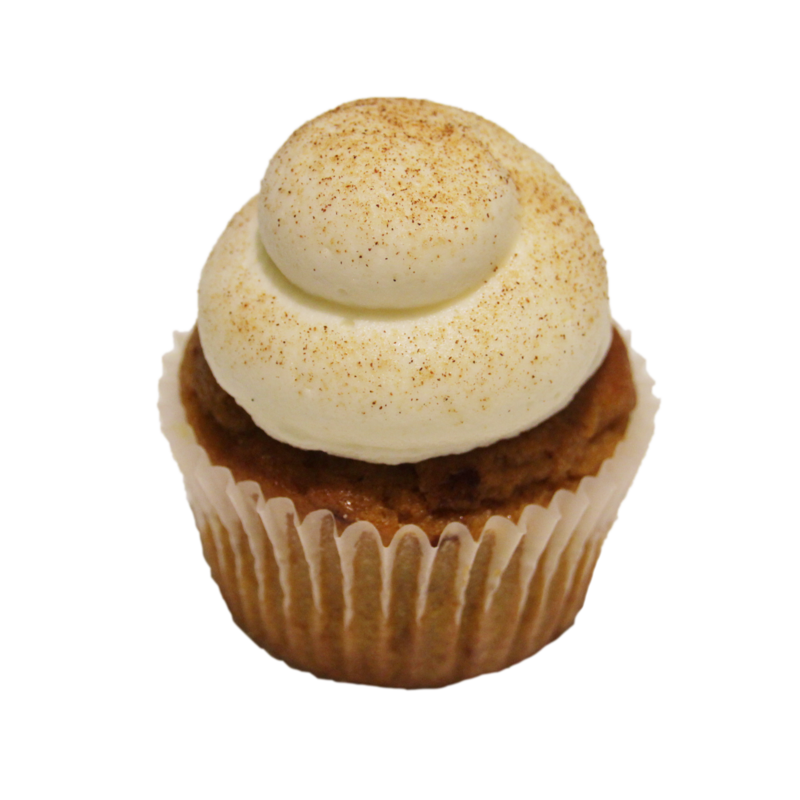 A moist and flavorful pumpkin cupcake with seasonal spices, topped with our signature whipped cream cheese frosting, and a dusting of cinnamon sugar.